FSV Mainz 05 vs Eintracht Frankfurt predictions for the mid-week German Bundesliga. Frankfurt don’t need to travel far to face neighbours Mainz at the Opel Arena on Wednesday. Read on for our free betting tips and match preview. November and early December has seen Mainz make a massive turnaround. 10 points from a possible 18 (W3 D1 L2) – you can forgive defeats to Borussia Dortmund and RB Leipzig – has pushed them comfortably mid-table in the run-up to the winter break and most importantly the 05ers seem to have addressed their “goal problem”. 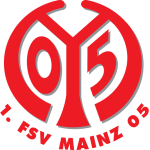 Although Mainz remain one of the lowest scoring sides in the division – the 05ers have only managed 14 goals in 15 league outings – they have scored at least one goal in each of their last seven Bundesliga outings. Striker Jean-Philippe Mateta, who signed from Le Havre over the summer, now looks more settled and he’s scored three in his last six. Mainz’s opponents on Wednesday? Neighbours Eintracht Frankfurt. Adi Hutter’s side have been one of the most dangerous teams in Europe over the past few months and they’ll be looking to finish the year with a bang. Last weekend’s 2-1 win at home to Bayer Leverkusen has got them firmly back on track after two consecutive league defeats – their 1-0 loss in their last Bundesliga away match was actually the first time they’ve failed to score in any competitive fixture this season – and their prior form can only be accredited to their attacking trio. Luka Jovic (10), Sebastien Haller (9), and Ante Rebic (5), have tallied a combined 24 league goals so far this season, which is almost double hosts Mainz in total. Going off the above, Frankfurk look to be the bet here. Frankfurt boast one of their best ever attacking records in the Bundesliga after 15 games and it’s hard to see Mainz’s defence stopping them after conceding four against RB Leipzig just a few days back (a 4-1 defeat). Frankfurt have won both of the meetings between them in 2018 after all (one Bundesliga and one DFB Pokal). That’s not to say that Mainz won’t get on the scoresheet – Frankfurt’s defensive record is interesting in that they have conceded just 18 goals, the joint 4th best in the division, but have kept a clean sheet in 25% of their league outings – but it’s been more evident than ever that the visitors have the firepower to counteract that – the Eagles are averaging almost twice as many goals scored than conceded. How many goals we see from the visitors is another question though. And with Frankfurt scoring two goals or more in four of their last five away days, you’d have to feel they’ll get more than one, especially against a Mainz defence without a clean sheet at the Opel Arena in four! Notably, the 05ers have actually conceded exactly two goals to both of the top six sides (Bayern and Dortmund) they’ve faced at home this season (L2), so you could say we should expect some “damage limitation” on their part. And even though Mainz have never lost at home to Frankfurt in the Bundesliga, all things point to Wednesday being the day that changes. 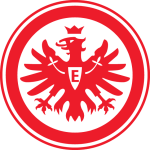 Our prediction: 2-1 Eintracht Frankfurt. Frankfurt have faced Mainz twice already in 2018 (3-0 home wins in the DFB Cup + Bundesliga). Mainz have scored five own goals against Frankfurt in the Bundesliga – more than against any other Bundesliga side. Mainz have scored 14 goals this term – they’ve only netted fewer after 15 Bundesliga games once (2006-07). Mainz have won just one of their last six Bundesliga home matches (W1 D3 L2). Eintracht Frankfurt have scored 32 goals this term – their best tally after 15 Bundesliga games since 1993-94 (34). Frankfurt have won five of their last seven competitive away games (W5 D1 L1). Frankfurt’s Sebastien Haller has assisted a league-high eight goals this term.